Somebody asked me why we don't ever write about current events in Japan and the world. Why? Why bother? Millions of other blogs have that covered. But since you insist, here's my personal commentary about the stuff that is happening: oil leak - yawn; Israel - if you've been reading this blog for more than 5 minutes, you know which side I'm on; Kan - honestly, I don't give a flying f*ck through a rolling donut about Japanese politics. Instead, let's talk about the REALLY important stuff this summer - summer festivals in Tochigi! 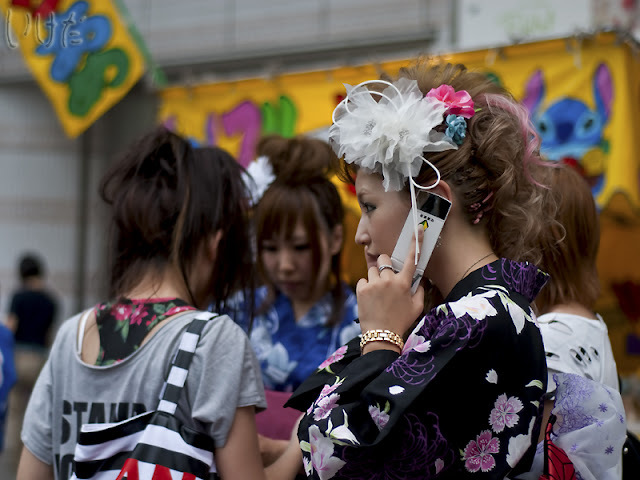 This is our entry for the Japan Blog Matsuri, June edition, hosted by Loco in Yokohama. And this month's topic? So, here we go, here we go, here we go. And again, the star rating reflects our own opinion. Your experience may vary. This is part 2 of our listing. Part 1 is here. 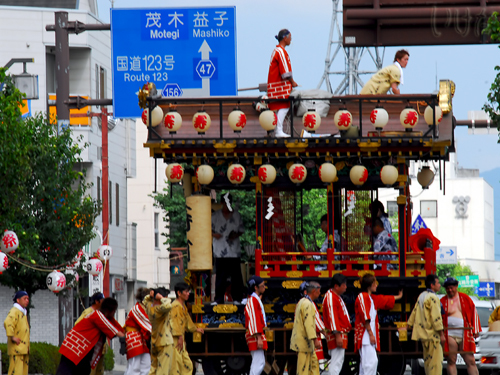 From July 23rd to 25th (Fri to Sun) in Moka downtown - Yatai parade, ritual ceremony, and fireworks are planned. So put your festive fundoshi on, and we'll see you there! On July 31st at Ohsaki shrine where several ritual ceremonies take place. Detailed info will be updated soon. In late July, this festival takes place during three days. More info coming soon. On Aug 14 (Sat) starting at 19:20 fireworks at Twinring Motegi (F1 and Indy racing circuit). From July 15 to 20th (Sat to Thu) in downtown Utsu where approx. 40 mikoshi march from the castle park to Futaara shrine. See ya there!!! There's more here and here and here. And even here. And if you haven't subscribed to our YouTube channel yet, what are you waiting for? A special, gold-pressed invitation delivered by a dashing, young man in a tuxedo? Sorry, we tried, but he got a better paid job as a pool boy in Aruba. 35th Miya festival (第35回ふるさと宮まつり), August 7 and 8. Lots of traditional street performances, mikoshi parade, Yosakoi dancing, and anything else you can come up with, including taco and kebab food stands. Watch our YouTube video here. See ya there!!! And as a special treat, Ms Trouble promises to sport a festive hairstyle this year. On Aug 21st by the Kinu river, 15 thousand fireworks are expected. Free parking available. Notorious for bad weather. On July 4th (Sun) at the western side of Oyama city hall (by the Omoi river) paper dolls are put on boats made of straw and sent down the river. On July 18 (Sun) from 14:30 to 20:00 in Oyama city downtown a Shinto ritual ceremony and a mikoshi parade take place. It takes place at the beginning of August by the Omoi river. Detailed info will be available soon. On Aug 7th from 19 to 21:00 by Watarase river where approx. 20 thousand fireworks are expected. It takes place at the beginning of August. 108 candles are put on boats sailing down the Uzuma river (巴波川) at night. It’s a Buddhist ceremony that is assigned as “Important Intangible Folk-cultural Property” by Tochigi city. We wish you all (yes, even to the moron who so persistently leaves nasty comments) a fabulous summer! The festival is really very nice....i guess people celebrate the festival great enthusiasm and gaiety. Great post. And you're right - these things are way more interesting than Kan or anything BP has to offer the world at the moment! Oh Hawaiian, stop complaining. They still look a lot better than 90% of American men if they decided to wear fundoshi. Helpful blog. Thanks! But a couple of corrections you might want. I live in Utsunomiya and the signs posted say that Utsunomiya's Miya Matsuri is Aug 7th and 8th. The City fireworks are not until Aug 21st. Hope this helps.